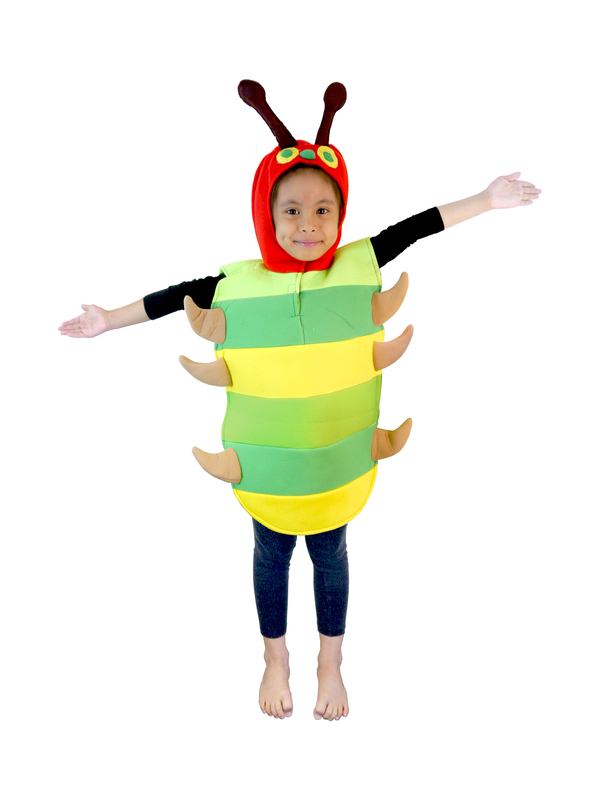 An adorable little musical about a caterpillar who wishes she could be a butterfly. She tries fluttering her legs, but that just makes the animals laugh. ‘You’ll never be a butterfly,’ they say. ‘You’ve got no wings!’ Trying to be kind, they suggest that perhaps she’s a ‘flutterpillar’, although of course there is no such thing. Wanting a better view of the butterflies, Flutterpillar climbs up into a bush. As she hides among the leaves to keep safe, something magical happens! Her caterpillar skin starts to shed and a chrysalis begins to form. Safe within her chrysalis, Flutterpillar has a good rest. When it’s time for her to wake up, she has turned into a butterfly! Her dream has come true. 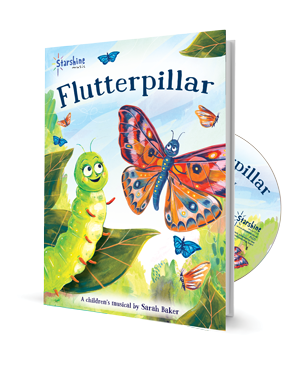 ‘Flutterpillar’ is ideal as part of a minibeast topic, as it’s a great way to teach the life cycle of a butterfly. 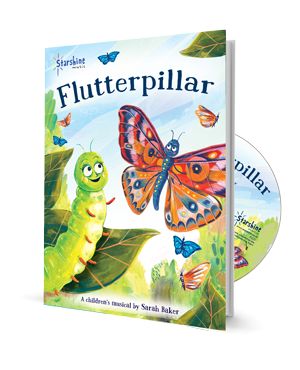 SPECIAL OFFER: Buy 'Flutterpillar' & 'The Not-So-Creepy Crawlies' together for just £49.90 (see order form) - Available from March 25th. 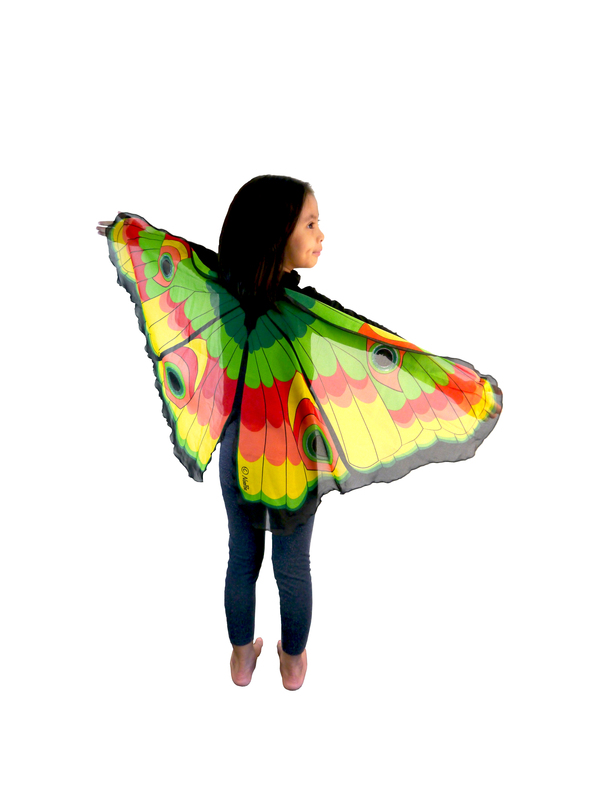 ‘Flutterpillar’ is short, accessible, easy to set and costume, and there are limited props – which makes for low stress! It’s easy to understand, with appropriate dialogue and catchy songs. We were able to create a very bright and vibrant performance, and lots of parents commented on how good it was. A very good show for this age group.’ – Becky Gee, teacher, Gloucester.